Tony Gwynn with that classic batting stance for the San Diego Padres. He may have been the greatest pure hitter of his generation, but beyond that he was a gentleman, a class act, and a testament to loyalty. 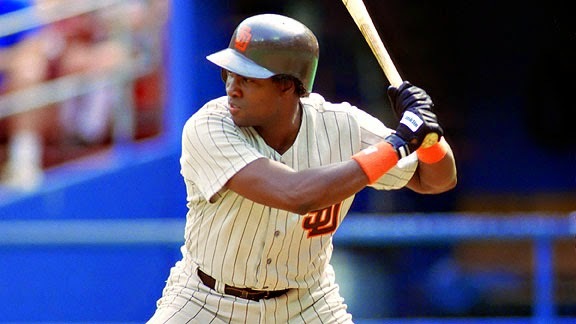 Sadly, Tony Gwynn died recently, far too young, the victim of cancer. He was 54. Tony Gwynn played 20 major league seasons, from 1982 to 2001, earned eight National League batting titles, and did so much more. What struck me though was, in an era of open free agency, he played his entire career with one team – the San Diego Padres. He could easily have jumped to teams with better chances of winning the World Series, but he never did. Instead, he played in both World Series the Padres played in their history, 14 years apart. Unfortunately, both times San Diego ran into immensely talented juggernauts and never really stood much of a chance. But it never turned him off the Padres or motivated him to seek greener pastures. Moreover, he played in an era where players began to use performance-enhancing drugs. As they grew stronger and their play stayed at an artificially-high level, Gwynn grew heavier as men who age naturally will do. Yet, he stayed at a high level, eschewing the need to use any drug to improve his performance. The fact he stayed clean, and still put up those numbers against peers who were cheating, makes his career even more remarkable. For sure, he was the greatest Padre in franchise history, but his numbers make him one of the greatest players too. In addition to his eight batting titles, tied for the second most in major league history, he was a 15-time all-star, won five Gold Gloves as an outfielder, seven Silver Slugger awards, had 3,141 career hits and a career batting average of .338. Major League Baseball Hall of Fame in 2007. He finished in the top 10 in batting for 15 consecutive seasons; led the league in hits seven times; hit above .300 in a National League record 19 straight seasons; hit above .350 for five consecutive seasons; won four consecutive batting titles; won four batting titles in each of two separate decades; had four of the top 14 best season averages since Ted Williams was the last player to bat .400 in a season in 1941; and he led the league in batting average and hits in the same year six times. 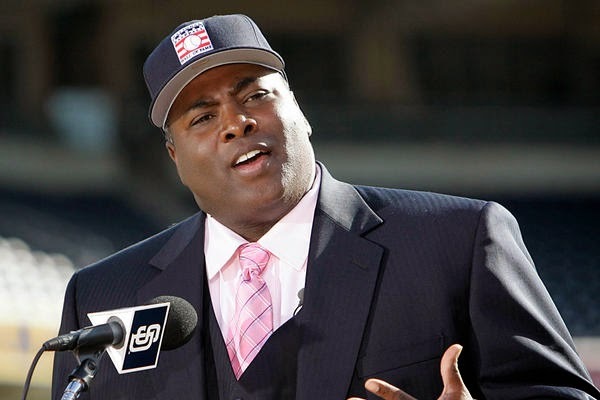 His son, Tony Gwynn Junior, would also make the major leagues, and currently plays for the Philadelphia Phillies. He was inducted into the hall of fame in 2007, his first year of eligibility and just six years after retirement. In the 1980s, there was nowhere near the amount of baseball coverage as we see today. I never saw Tony Gwynn play a lot, but once I saw him play, I immediately respected him for his behaviour and class. He was an ambassador of the game and, by never leaving the Padres, he put loyalty and team ahead of winning. We don’t see a lot of that anymore. Tony Gwynn had turned his attention to managing and teaching young players the game. It is sad he died so young, because he could have taught so much more to the next generation of players – about hitting and about life. after his father's death. It is a truly touching moment.